Brian Dahlen grew up in Burnsville, Minnesota and holds a bachelor’s degree in social science/history and a master’s degree in education. While teaching public high school in the Minneapolis area, he began working part-time in broadcasting as the co-host/producer of a weekly talk radio program. 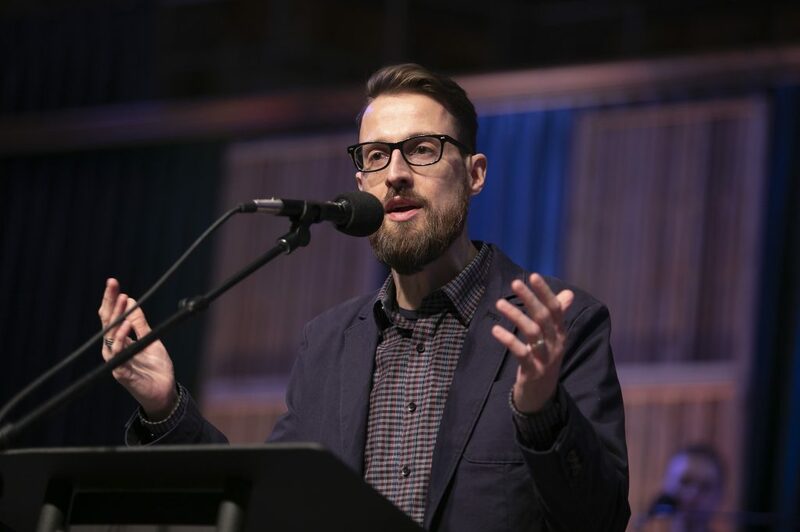 After six years of teaching and two years of part-time broadcasting, Brian began working full-time in Christian radio at WMBI, 90.1FM Moody Radio Chicago. From June 2008 to July of 2015, Brian served in a variety of roles at WMBI from producer to host, and was the co-creator and co-host of a weekly Moody Radio podcast called “What Did They Say Now?”. Brian was also an Adjunct Professor in the Communications Department at the Moody Bible Institute. Brian currently serves as the host of “Brian and Jannelle Mornings” on Moody Radio Cleveland, and the co-host of the “Brian and Kathleen Podcast“. He lives with his wife and five children in the suburbs of Cleveland, Ohio.